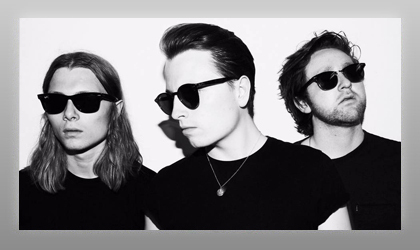 Emerging Newcastle trio The Pale White are the chosen ones to propel rock music back to the forefront. Having supported Twin Atlantic on their 2017 UK Tour, The Libertines, High Tyde and The Sherlocks in addition to performing at numerous festivals last summer including Glastonbury on the BBC Introducing stage, Kendal Calling, Barn On The Farm and Neighbourhood Festival, The Pale White supported The Amazons on a 10-date UK tour as the main support in October. Their self-titled four-song EP features the songs "Reaction" and "Turn It Around" and includes their latest single "Downer." The track was produced by John Martindale along with the band and has been described as a rousing, thunderous indie-rock song that goes straight to the jugular.